This has been (and likely will be) one of the craziest and busiest March's in my life. Let's take a quick look at what is going on in my life! Right now, both Nick's team and mine are in the midst of playoffs. Both of our teams have won our first games (yay!) and have upcoming games this weekend. Thus, why there has been a little bit of radio silence on the blog here this past week- busy cheering both of our teams on! Stay tuned for more updates on hockey life over the next week or so here! 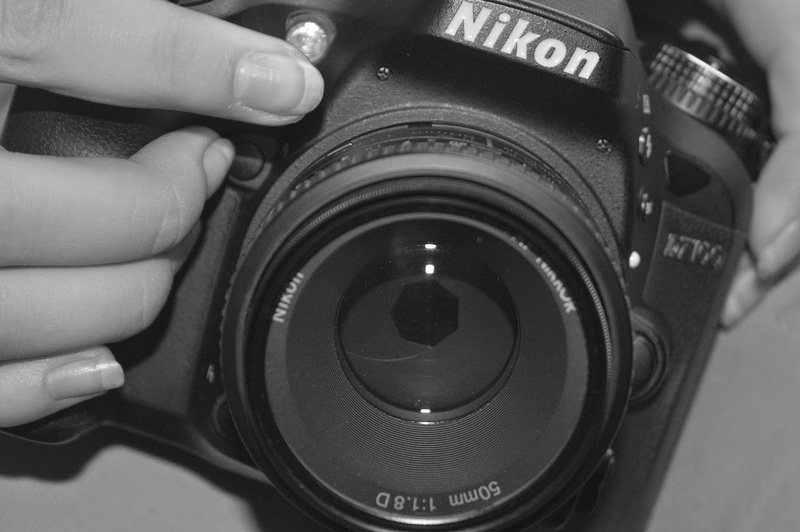 Yep, for my birthday I am going to be getting a Nikon D3300! I've been wanting a nice DSLR camera for awhile, and this seems like the perfect beginner DSLR. It seems pretty user-friendly, which is great that both Nick and I will be able to figure it out quickly! For those of you with this camera, what do you like about it, and any special tips and tricks to share? What are your must-have camera accessories? Lastly, I am planning on taking a little break from blogging while I am in Punta Cana in April. As such, I would love to feature a couple of guest posts from any travel bloggers out there! If you are interested, please get in contact with me via e-mail and we can definitely chat about the details! What an awesome birthday gift! There is so much to learn on a new camera but will be fun! Thanks Kiki! I'm excited to get home eventually, buy the camera, and try it out! Awesome!! Good luck with all the hockey games, and congratulations on the camera! You guys don't ever have games in Stockholm, do you? My husband and I have been saying we should go to a game sometime, but don't really have a team to cheer for. If you're ever playing here, let me know! Much more fun if we actually care who wins! Thanks Jamie! Ah, we had a game in Stockholm last week when we played AIK at Hovet Ishall… but (hopefully!) we will win our series against Karlskrona and not have any more games! I will definitely keep you in mind next year when we play in Stockholm though! Congrats on Playoffs!! Were still over a month away till Playoffs in the states......craziness!! Happy Birthday! What an awesome – and well-deserved gift!! Yeah, hockey over here has to compete so much with soccer that the season starts & ends a little bit earlier than the NHL/etc. Thanks so much Ashley! New cameras are the best :) Congrats and good luck on the rest of your games! Love that you and your husband both play hockey! Thanks Christine! Our mutual love of hockey definitely helped bring us together and connect. I can't wait to get home and get my new camera though! Oh, gosh! I'm in the same way looking for guest bloggers to take over my blog in April! Good luck finding a couple of people for takeovers! For all occasionally or special event you can use a famous brand of DSLR Camera.